In my previous post about Symbian, I brought to you Fruit Ninja game for Symbian^3 devices and Now I am back with another Symbian game and This time for S60 version 5 devices. Raging Thunder is a Car Racing game for S60V5 devices, The Best thing about this game is that It can be played using the built in Accelerometer of 5800, 5230, 5233 etc. 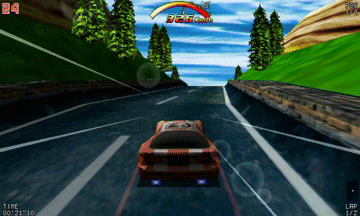 devices, which means you can play this game using motion sensor to steer your ride. The graphics are really cool and lets you enjoy the Unforgettable gaming experience on your Nokia device. 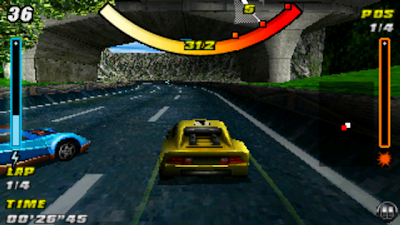 This game also support Multiplayer, Race against time modes. 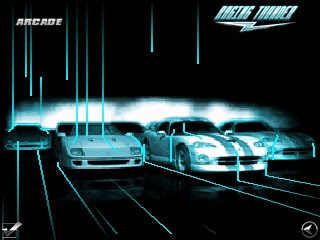 Raging Thunder features 4 awesome cars. The Cars run smoothly and motion sensor works great. It is really easy to keep control on your car with a little motion sensor practice, It may seem difficult if you haven't played motion sensor games before but with a little practice, you'll build the coordination. The Game supports all Symbian S60V5 and Symbian^3 Devices like 5230, 5233, 5235, 5800, N8, C7, X6, Samsung Omnia, Sony Vivaz etc. Personal Game Review: I've played this game personally on my Nokia 5230. I had a great experience, This is one of the best games ever for S60V5 devices. The motion sensor controller works great and It brings a new gaming experience. The graphics are really awesome, I personally recommend this game to all Symbian S60V5 users. Raging Thunder will never disappoint you.